Park West Gallery artist David “Lebo” Le Batard invigorated Florida’s 2015 Hispanic Heritage Month with his unique style as the state’s featured artist. Lebo was selected by Florida Gov. 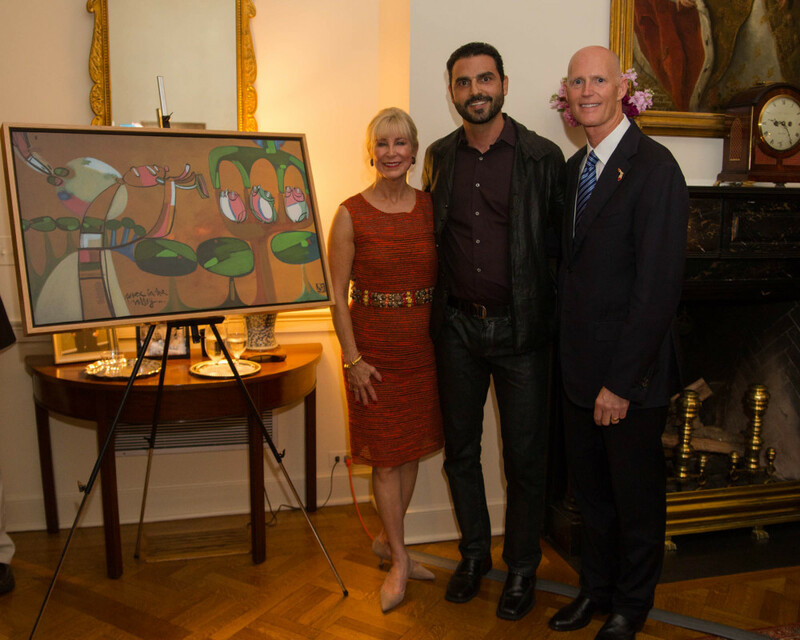 Rick Scott to serve as the artist for Florida’s celebration of National Hispanic Heritage Month, celebrated from September 15 to October 15. 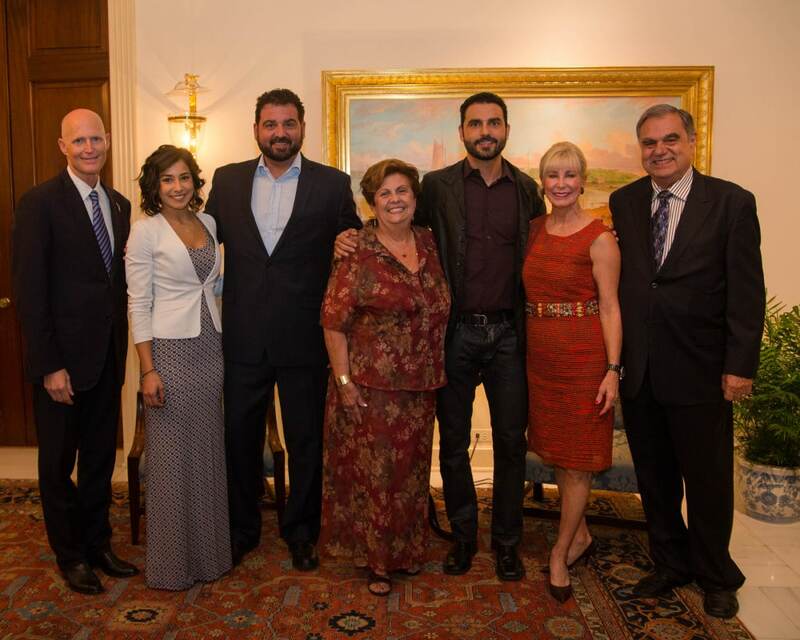 Lebo and his family attended a ceremony on October 6 at the governor’s mansion. 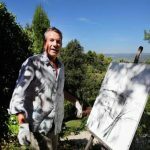 “Being chosen to be the artist to represent Hispanic Heritage Month was not only was an honor as an artist but also as a Cuban-American as well as a Floridian,” Lebo says. According to the state’s webpage, Scott says Florida’s government recognizes the contributions of Hispanic Floridians who have enriched the state’s communities with their contributions. This year’s theme was “Recognizing the Past, Honoring the Present and Celebrating the Future.” In honor of this theme, Lebo, a continually rising star in the art world, was named the featured artist for this year’s celebration. 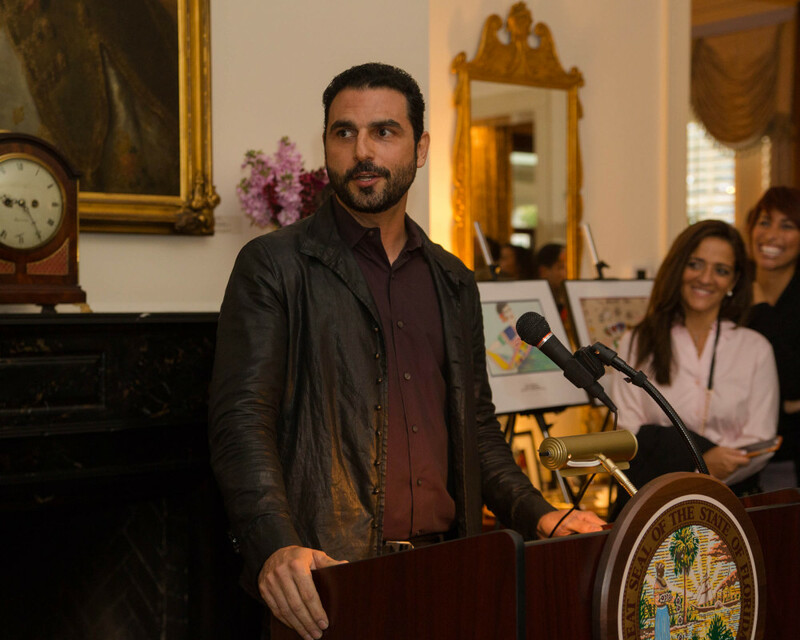 Lebo was born to Cuban immigrant parents and raised in South Florida. Family members on his father’s side were all musicians, playing in a well-known orchestra, so that Latin music and style is engrained in his “post-modern cartoon expressionism” style. Lebo credits his parents for helping both himself and his brother, sports journalist Dan Le Batard, giving them the opportunity to express themselves, an option his parents did not have while living in Cuba. “Going to the governor’s mansion as a first generation American, and with my parents who were exiled from Cuba, was truly an honor,” he says. A small exhibition of Lebo’s work was held during the October 6 ceremony, and Lebo spoke about his career as an artist thus far. “There was a certain feeling of having arrived at a point in my career and within my craft that resounded throughout the evening,” he says. Lebo established himself as one of Miami’s most respected muralists, and established a showroom in Wynwood and a studio in Miami Beach. 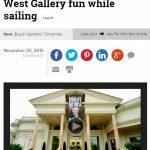 He began working with Park West Gallery not long after completing the hull artwork for Norwegian Cruise Line’s ship, Norwegian Getaway. Lebo wasn’t the only one participating with artwork in the celebration. An essay and art contest was held for Florida students to research and share their findings about an important Hispanic person or significant event in Florida’s past, present or future. There is no denying the influence of Cuba on Florida’s heritage. The Cuban Revolution prompted more than 155,000 people to flee from Cuba between 1959 to 1962, many of whom came to Florida. The state also has the third largest population of Hispanics in the U.S. with over 4 million residing in Florida. September 15 was chosen as the start date for the month because Costa Rica, El Salvador, Guatemala, Honduras and Nicaragua all declared their independence on that day in 1821.